With the release of the Update, you’ll be able to view your ships in the Port from new perspectives. You can examine in detail the main and secondary guns, AA batteries, torpedo tubes and deck aircraft. 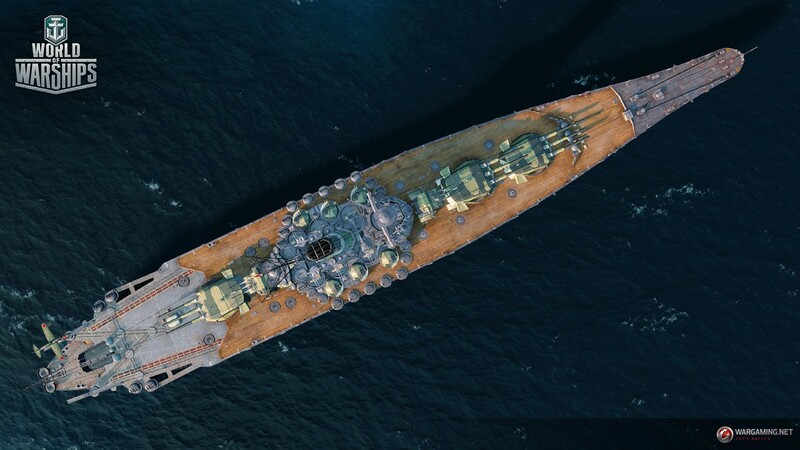 Make a beautiful panoramic shot of a ship at maximum camera distance, or check out the elegant outlines of a battleship or destroyer using the top view. Design your own battles! You will now be able to create a training battle. If you’ve already made it to Account Level 15 in your Service Record, you’re very welcome to try the new feature. No need to worry about economy! In training battles, you don’t expend your ammo or consumables. Nor will you have to pay for the post-battle service of your ship. However, training battles won’t bring you any Credits, either. 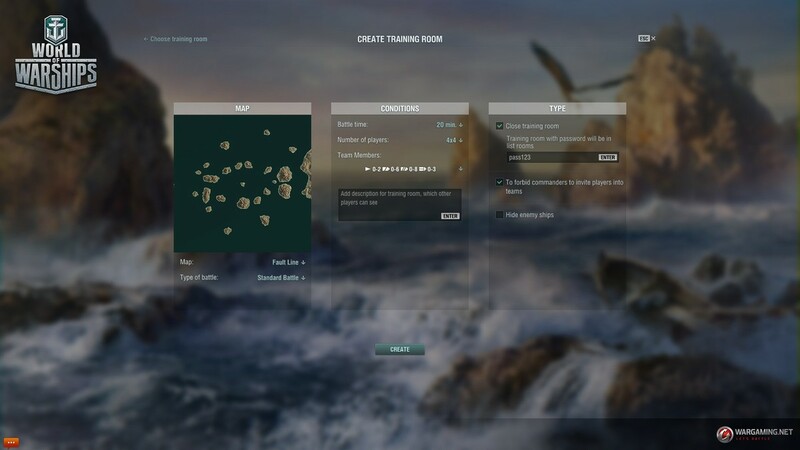 In a Training Room, a whole set of configurable parameters are available for you ranging from the number of participants, and ship types and nationalities to maps and even weather conditions. Once you’ve created a Training Room, you can distribute players between two teams of up to 12 players each. 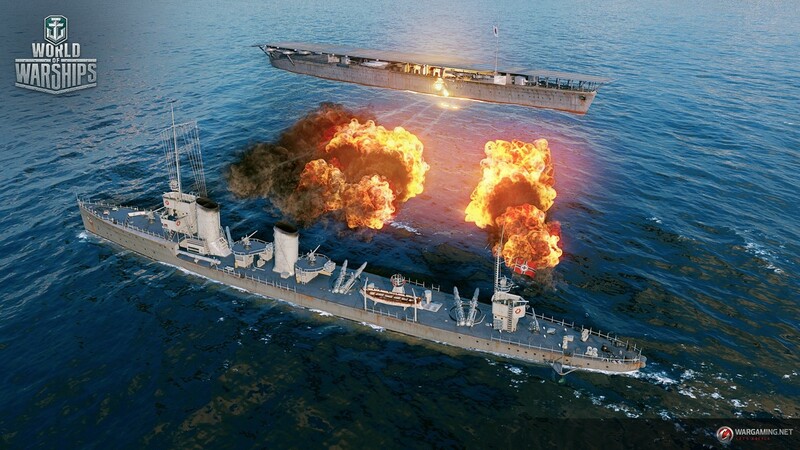 If your primary aim is to try out the main gun rifles on the Yamato that you’ve just purchased add to the battle. 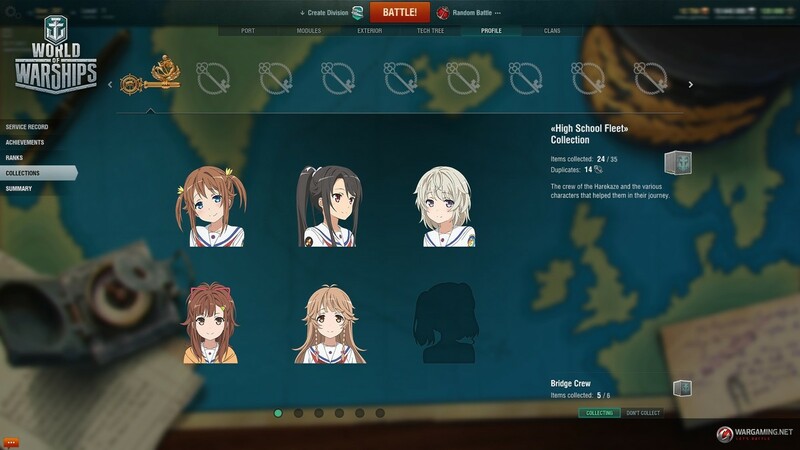 With the Update 0.7.0 everyone, after pressing special button on in-game portal news will be able to get acquainted with a new content dedicated to High School Fleet. This time, we’ll offer new camo patterns, commanders and a new collection. You’ll be able to apply new dedicated camo patterns on your Musashi, Yamato and HSF Harekaze, assign four new Commanders to your ships and complete a collection comprising 35 items with brief descriptions of the characters featuring in the anime series. Also on the Public Test, you will be able to check out new coloring for the battleship Yamato.However, if you’re not happy with the new camos, you can hide them in the “carousel” menu. Great news for all Commanders who feel there aren’t enough options to emphasize their individuality in the game. From now on, they can stand out by using all sorts of colorful distinctive insignia. Insignia will be visible to other players in pop-up tips. If you destroyed a ship, your opponent will see your personal insigne. You can also view the patches and emblems of your allies by shifting your camera to their respective ships. You can create your ideal insigne by using a special interface available in the Port. Using the interface, you can take examine in detail all possible insigne variants and combinations. Distinctive insignia include Patches featuring a symbol against a background may be obtained by completing combat missions. 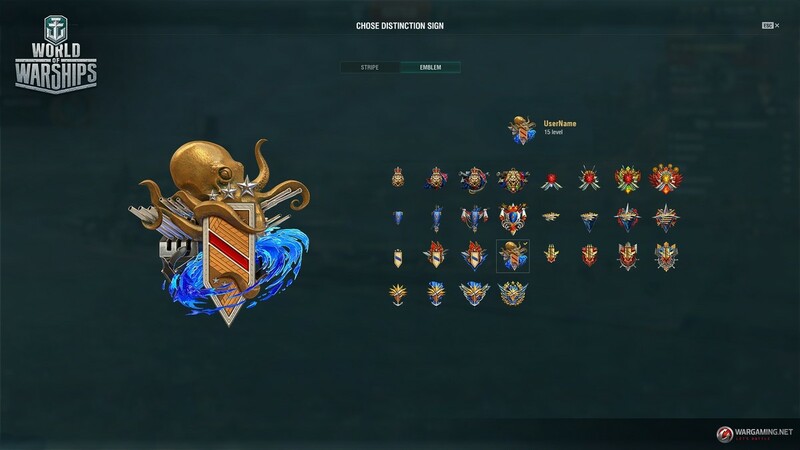 Emblems will be granted for certain achievements. For example, you get them by demonstrating strong combat skills and efficiency or by the number of wins you’ve secured with ships of a given type or nationality. In Update 0.7.0, we’ve made further enhancements to the way the matchmaker works in Co-Op . Now, you may encounter bot-operated aircraft carriers and battleships in battles even if no ships of these types are helmed by real players. The type of ship commanded by AI will depend on which type of ships is the most numerous in a particular battle. These changes are intended to make Co-Op Battles more interesting. You will also be able to test your skills in encounters against more versatile enemy team setups. Previous Entry World of Tanks Special: x5 XP and x5 Sweets!